Supports healthy bones and muscles, as well as the cardiovascular and immune systems. Both vitamin D and vitamin K2 support bone and muscle health, along with cardiovascular health and immune function. It is important to maintain an optimal level of vitamin D in the body through all stages of life, from fetal development to old age. Vitamin K2, a series of molecules known as menaquinones, exerts a more powerful influence on bone than does vitamin K1. The vitamin K2 in this formula is the well-studied MK-4. Combining vitamins D and K can provide greater support of the immune and cardiovascular systems than each offers separately. For example, vitamin D is necessary for calcium absorption, and vitamin K is important for directing calcium to the bones and away from the soft tissues, such as blood vessels and kidneys. 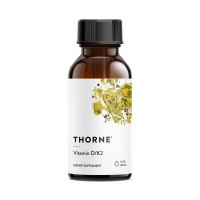 Thorne’s Vitamin D/ K2 Liquid also provides nutritional support for oncology patients. 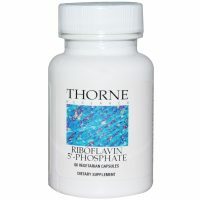 As with many B vitamins, riboflavin must be converted to its active form – riboflavin 5′-phospate (R5P) – in order for it to be utilized by the body. Because absorption of riboflavin occurs in the upper GI tract, a compromised digestive system can adversely affect the body’s ability to convert riboflavin to R5P. In addition, certain prescription medications can interfere with the proper absorption of riboflavin and deplete the body of its stores. Rhodiola is a brain adaptogen that helps balance the brain chemicals serotonin, norepinephrine, and dopamine without causing drowsiness or fatigue. It can also enhance exercise performance. Rhodiola rosea has been extensively studied in Scandinavian countries and in Russia for over 35 years and is categorized as an adaptogen because of its ability to increase resistance to chemical, biological, and physical stressors. The adaptogenic properties of Rhodiola are attributed primarily to its ability to influence the levels and activity of neurotransmitters and the amino acids that mimic the effect of opiates, such as beta-endorphins, in the brain. Because it is an adaptogen, and not an opiate, Rhodiola has the potential to normalize neurotransmitters in the central nervous system without causing drowsiness or fatigue. It helps maintain normal levels of brain chemicals, but does not further affect them when they are already normal. 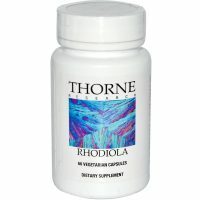 Studies have found improved mental performance in physicians on night shift who were supplemented with Rhodiola. And medical students given Rhodiola during exam periods reported improved concentration and performance, as well as enhanced well-being, improved sleep, and greater mood stability. Hydrochloric acid secretion in the stomach does several positive things. It assists protein digestion by activating pepsinogen to pepsin, it renders the stomach sterile against ingested pathogens, it inhibits undesirable overgrowth in the small intestine, and it encourages the flow of bile and pancreatic enzymes. Hydrochloric acid also facilitates the absorption of a number of nutrients, including folate, vitamin B12, ascorbic acid, beta-carotene, iron, and some forms of calcium, magnesium, and zinc. Numerous studies have shown hydrochloric acid secretion in the stomach declines with advancing age. Overuse of antacids can also lead to low levels of hydrochloric acid in the stomach, which can result in poor protein digestion. 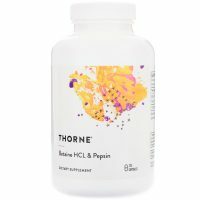 Thorne offers hydrochloric acid and pure pepsin from a porcine source. 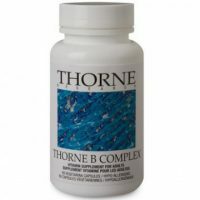 Unlike many supplement companies, the pepsin utilized in Thorne’s product is pure, undiluted, and lactose-free. Soothing Botanical Support for the GI Tract – Now with Aloe Vera! 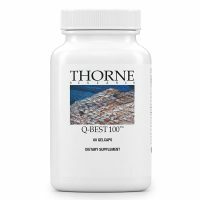 Thorne is the exclusive provider of Q-Best®, a crystal-free CoQ10. Thanks to proprietary Tri-Lipid Technology, CoQ10 crystals are kept fully dissolved over a broad temperature range, which allows for greater absorption of the CoQ10 by the intestinal mucosa. Q-Best demonstrates superior absorption (eight times greater) over dried-powder CoQ10 preparations. In addition, a plasma CoQ10 bioavailability study observed the absorption of Q-Best to be greater (at least two times greater) than other forms of CoQ10, including oil suspension, nanoparticle, and liposomal preparations. Q-Best is the best CoQ10 formula available today. Non-Medicinal Ingredients:Monoglycerides (soy), Purified Water, Gelatin (bovine), Glycerin, Lycopene. Helps maintain and/or support cardiovascular health. An antioxidant for the maintenance of good health. Meriva® is a unique, patented curcumin product. Curcumin is a potent antioxidant flavonoid that offers numerous health benefits, including supporting joint health, and hepatic, GI, and cardiovascular function. Whether taken as a supplement or from food, curcumin is generally poorly absorbed into the bloodstream. Meriva curcumin phytosome is a unique curcumin extract that is significantly better absorbed than other curcumin extracts. Phytosomes are plant extracts bound to phosphatidylcholine (PC), an essential component of human cells. When taken orally, PC is very well absorbed and curcumin can be bound to PC to enhance its absorption. A human study demonstrated 29-times greater bioavailability than ordinary curcumin. Meriva supplementation resulted in higher plasma concentrations of curcumin from a much smaller dose than with ordinary curcumin. Non-Medicinal Ingredients: Hypromellose (derived from cellulose) capsule, L-Leucine, Calcium Laurate, Silicon Dioxide, Microcrystalline Cellulose, and Calcium Citrate. Meriva-SR is a unique, patented, time-release curcumin product. People throughout Asia have benefited from the healthful effects of curcumin for centuries. Curcumin is the orange pigment in turmeric (the primary ingredient in curry), and is a potent antioxidant that offers numerous health benefits, including supporting joint health and cardiovascular function, and helping to maintain the body’s normal inflammatory response. 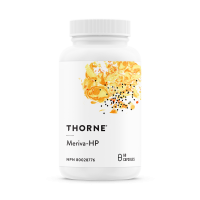 Methylation is key to keeping homocysteine levels in check, as well as for facilitating multiple biochemical processes involving neurotransmitter synthesis, detoxification, cardiovascular health, eye health, muscle health, bone health, and redox balance. Maintaining a desirable level of homocysteine in the blood has joined healthy cholesterol and triglyceride levels as leading biomarkers for the maintenance of good cardiovascular health. * Preventing an undesirable homocysteine level is also associated with the maintenance of bone, female reproductive, cognitive, and neurological health. 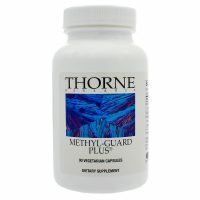 * Methyl-Guard Plus supports methylation and promotes healthy homocysteine levels with betaine (trimethylglycine), 5-MTHF (the active form of folate), riboflavin 5′-phosphate (the active form of vitamin B2), pyridoxal 5′-phosphate (the active form of vitamin B6), and methylcobalamin (an active form of vitamin B12). Thorne offers hydrochloric acid and pure pepsin. 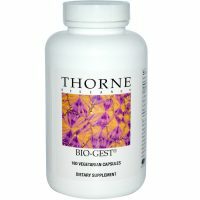 Unlike many supplement companies, the pepsin utilized in Thorne’s product is pure, undiluted, and lactose-free. 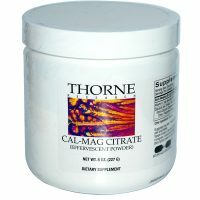 Thorne’s pure pancreatin is also lactose-free and has the highest potency and purity possible. 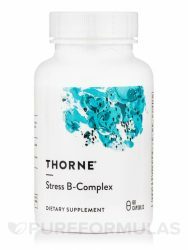 These elements are combined in one formula, B.P.P., to help aid in overall digestion. Individuals who may be low in hydrochloric acid production and have malabsorption of protein, carbohydrates, and fats should consider B.P.P. Non-Medicinal Ingredients: Hypromellose (derived from cellulose) capsule, L-Leucine, Silicon Dioxide. Helps to support liver function. Digestive aid. Digestive enzymes. Take 1-2 capsules with each meal or as recommended by your health professional. For prolonged use, consult a health-care practitioner. 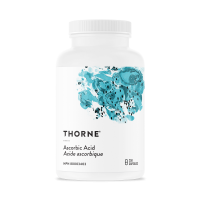 Ascorbic acid (vitamin C) is a potent water-soluble antioxidant involved in numerous biochemical pathways. 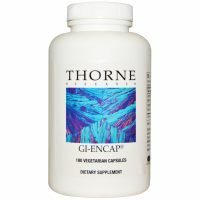 It enhances the immune system; it supports connective tissue formation; it is necessary for phase I liver detoxification enzymes and to help quench free-radicals in the liver; vitamin C raises glutathione levels, thus enhancing phase II detoxification; it is involved in bile acid synthesis; and, vitamin C is essential to cardiovascular and neurological function. Vitamin C is essential for maintenance of healthy cartilage and for wound healing. A factor in the maintenance of good health, wound healing, and in the normal development and maintenance of bones, cartilage, teeth, and gums. Take 1-2 capsules daily or as recommended by your health professional. (Children 9-18 years): Take one capsule daily or as recommended by your health professional.